Much better if there were additional amenities. The community is beautiful and noise is typical for apt. living. Montecito is clean and well kept. Love my apartment and the location. As a customer though, I feel unheard when a concern is raised. Quiet and has a sense of community with fellow neighbors. I like this apartment complex, but it has become far too expensive since I first started living here. Unfortunately, this will be my last year renewing, as I cannot afford another rent increase in 2019. I have no complaints about anything else going on at Montecito though, minus an awful neighbor who has since moved out. Amazing staff, best I've ever been associated with. Incredibly helpful and timely to any issues. Great place to live though a little loud due to ongoing, nearby construction. Location is awesome and so close to everything. friendly staff. nice community and amenities. great with responding to messages quickly. its quite and close to alot of great shops. great place. Close to the shops, restaurants and lakes. Small but with all amenities. Safe area and friendly comunity. Affordable. Less than hour to the beach and to LA! Great place to live. 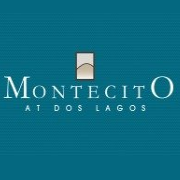 Love the community and staff at Montecito! Area is perfectly close to restaurants and stores. Walking the lake is perfect in the evening. Apartments are great! You have to understand that you have chosen to live in apartments it's not a place for you to get away from the world, you have neighbors. If you can understand and be happy everything else is amazing. Location cleanliness and pool area awesome. Everything is fine except lack of parking space and severe complaint from upstairs. Proper treatments and adequate service from the management are perfectly fine to us. This is a non problem "cozy" community. Apartments are comfortable and staff helpful. Closeness to the Dos Lagos shopping area, lakes and restaurants makes this place feel like holiday resort. Amazing service! We absolutely love the management. They are all so sweet and helpful with any issues or problems. We love living here! Absolutely no complaints.